The perfect cruise ship for discovering the unique ports of French Polynesia. The Aranui 5 cruise ship is a unique mix of cruise and cargo ship. 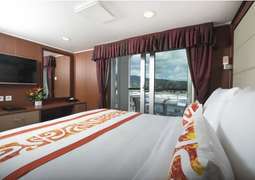 It has the capacity for 254 guests in 103 cabins. Accommodation options on board range from dormitory-style rooms with 4 people to the Presidential Suite. There’re a range of options in the middle to suit all tastes and budgets. 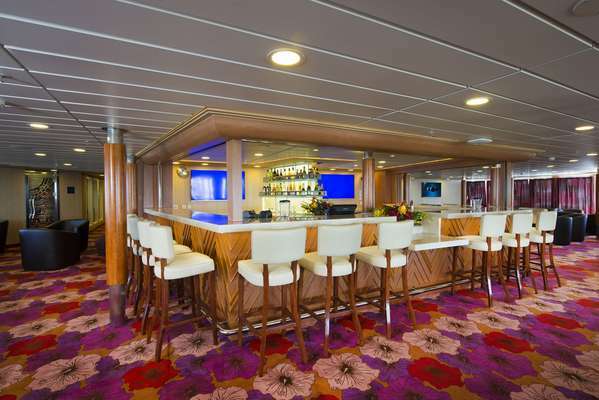 Spread over 9 decks, the Aranui 5 has a range of onboard attractions. With the dance and spa centre on the lower deck, you have a chance to rest and relax if you wish. There is a conference room for onboard lectures which have a range of speakers talking about the local area. Onshore excursions are available within the cost and can be taken when the ship in loading and unloading goods in the port. With a unique itinerary, which includes the departure port in Papeete and visiting Nuku Hiva, Tahuata, Fata Hiva and Bora Bora, amongst others, this ship will really show you the true French Polynesia. The ship is popular with travellesr looking for a different perspective. With the ability to visit small ports and with interesting and informative lectures onboard it’s a cruise opportunity not to miss. 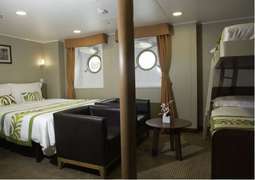 The accommodation on board the Aranui 5 is made up of cabins, staterooms and suites which are all large and contain many modern amenities such as comfortable beds, refrigerators, TVs and wardrobes. 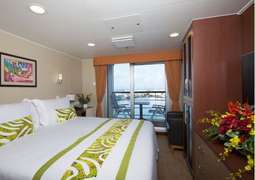 There is also a range of cabins including outside and balcony, ensuring you will have the best cruising experience possible. There are berths for 24 passengers in dormitories, and these four rooms each have a bathroom and shower. There is also space on deck for 45 local passengers. There is one restaurant onboard the Aranui 5. All meals are severed in a casual setting onboard. On the Aranui 5 there is always an opportunity for fun! Relax in the outdoor swimming pool or whirlpool, visit the spa, enjoy a drink in one of the 4 bars, including a Sky bar or dance the night away in the dance room. For those seeking more entertainment pay a visit to the video and computer room, exercise in the gym or read in the onboard library. All to make your holiday an enjoyable, unforgettable experience! The Aranui 5 has a boutique and shop to meet all your holiday shopping needs. The decor aboard reflects the Polynesian heritage of the owners and crew. On board Aranui 5 the dress code recommended is informal, comfotable casual wear, but for festive occasions formal clothing is advised. For women, 'pareo' a native fabric is recommended for all occasions.